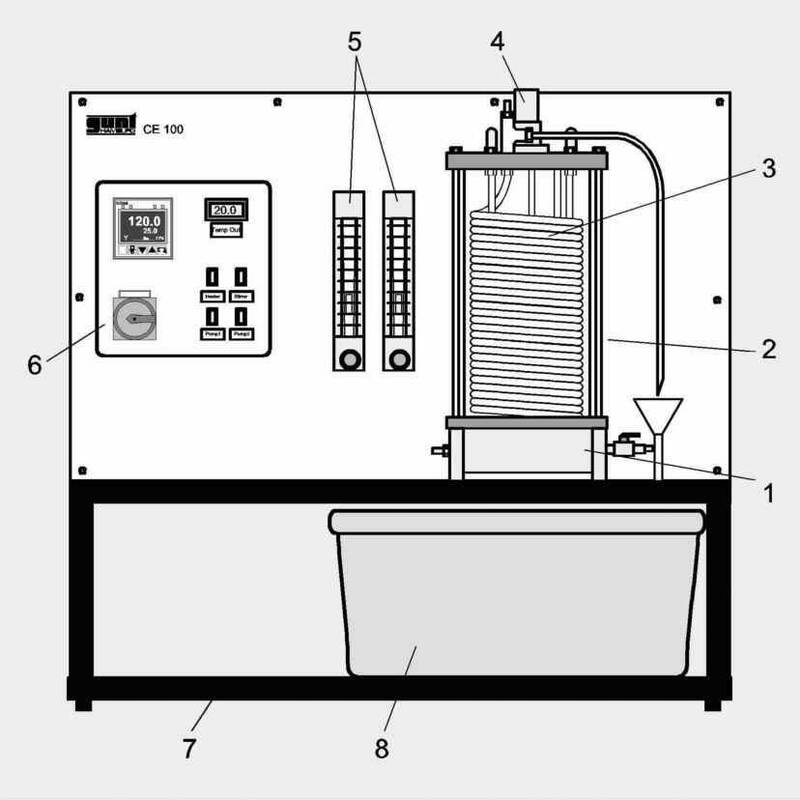 The influence of the reaction temperature and contact time between two reactants in a chemical reaction on the resulting substance conversion can be investigated in this tubular flow reactor. The dimensions of the free-standing unit have been chosen in a way that the unit can be used in laboratories; still, the principles of industrial plants are still recognizable. Two liquid chemicals are continuously pumped through a coiled reaction tube where they react. The tube is placed in a water bath that can be heated, the reaction can take place at varying temperatures. 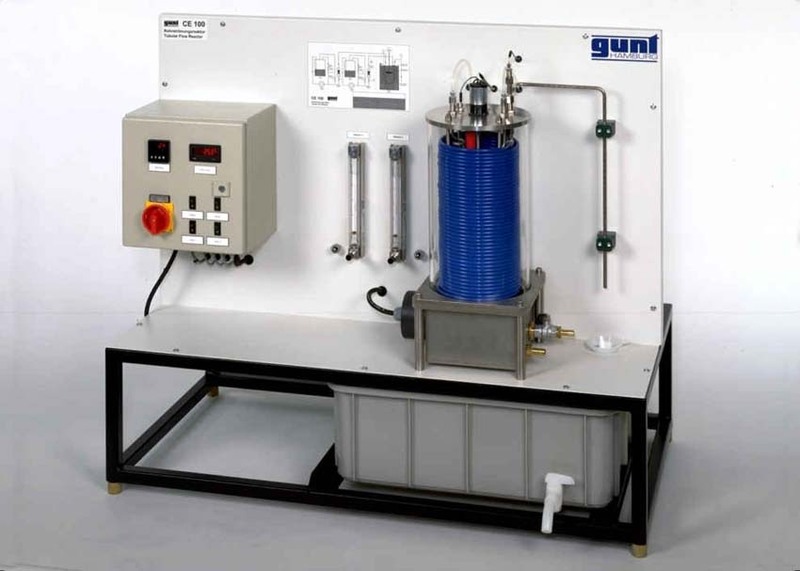 The flow rate of the chemicals can be separately adjusted using two independent pumps. Varying the flow rate changes the time taken to pass through the tube and thus results in different periods of contact between the reactants. The product of the reaction is collected at the outlet and can be further analysed.